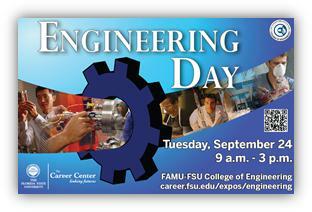 MARK YOUR CALENDARS FOR THESE EXCITING FALL EVENTS BELOW! ENGINEERING DAY is a career exposition for students to meet employers and search for full-time, co-op, and internship opportunities in the engineering field with companies, non-profit and government agencies. 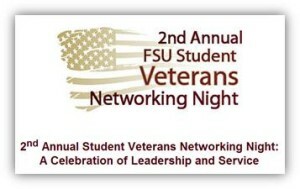 STUDENT VETERANS NETWORKING NIGHT is an exclusive opportunity for employers to network with Student Veterans and their spouses/significant others who are members of Florida State University’s campus community. 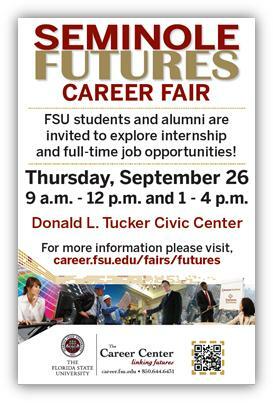 SEMINOLE FUTURES is a career exposition for full-time, co-op, and internship opportunities with for-profit, non-profit, and government agencies. 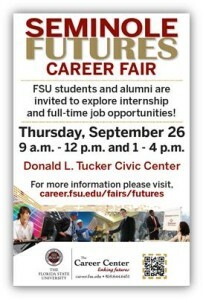 Over 100 companies and more than 1,500 job seekers attend this career fair.